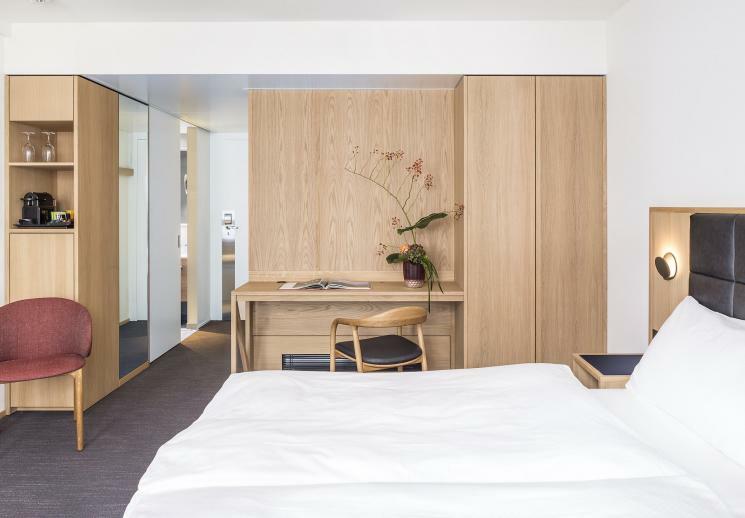 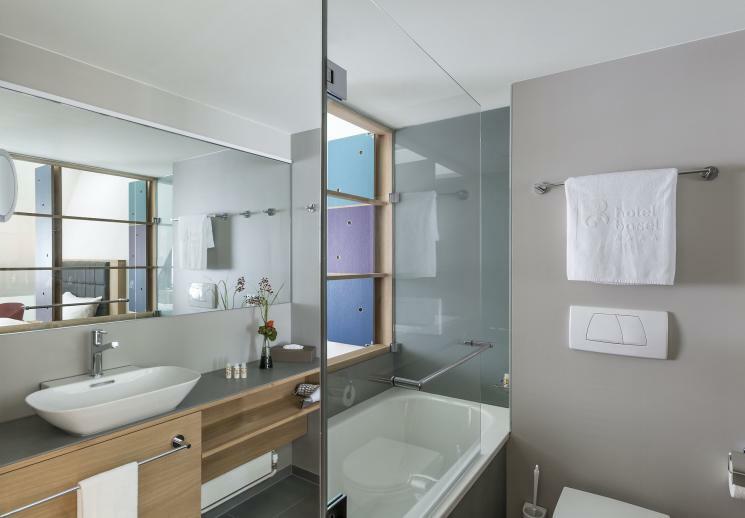 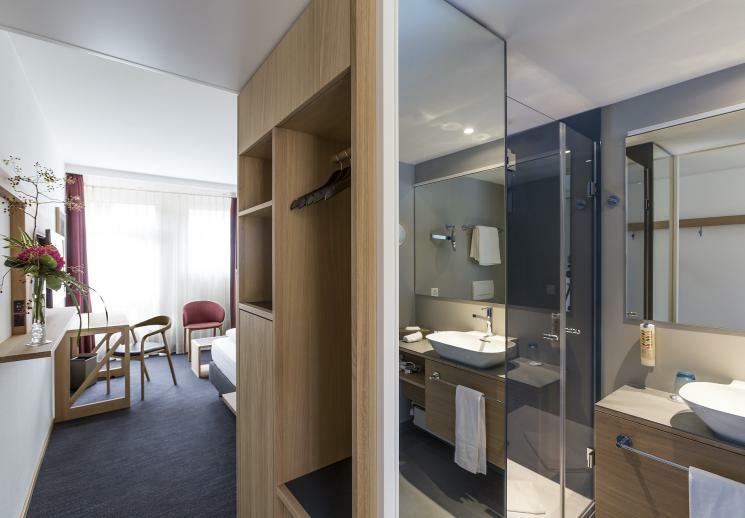 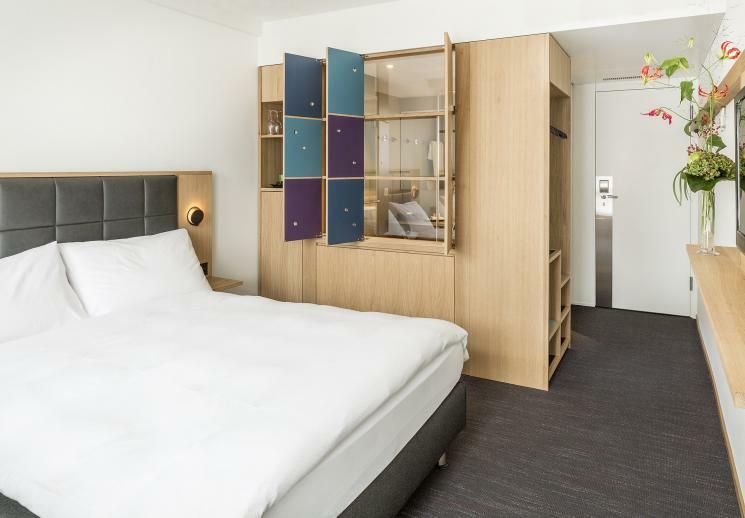 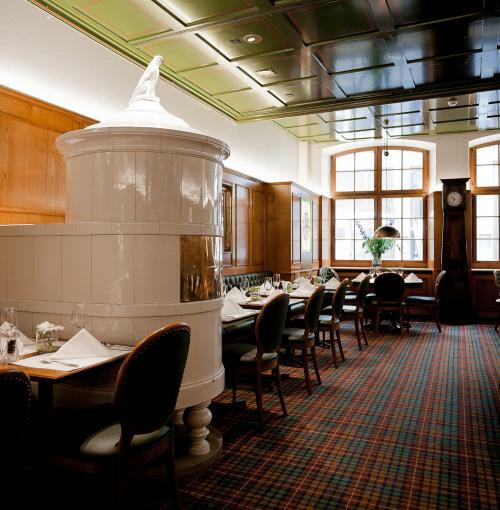 Hotel Basel is located in the heart of Basel’s old city, surrounded by historic buildings, sitting above Market Square (Marktplatz) and the town hall (Rathaus) and just a few steps from other sightseeing attractions of the city of Basel. 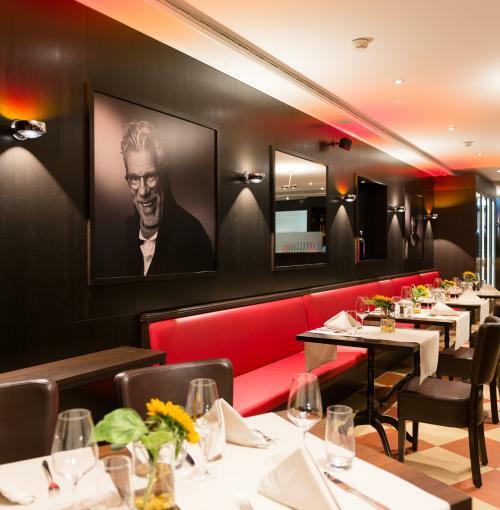 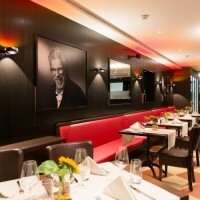 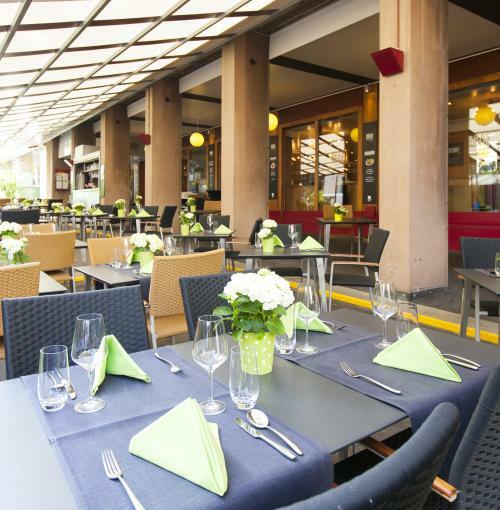 No other Hotel in Basel is situated more centrally, right in the heart of the pedestrian area. 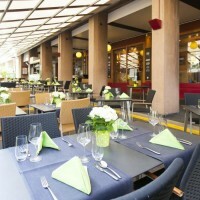 It is the home of 3 restaurants, including an outdoor restaurant. 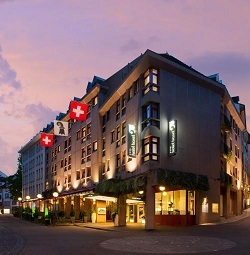 Hotel Basel is located 1 block from tram in the old town (Marktplatz) 5 minute ride to Art Basel. 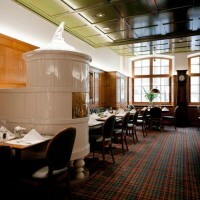 Free transfer by public transportation from EuroAirport and the Basel train station to the hotel in the TNW zones 10 and 13. Nightly rate includes: breakfast buffet, free wifi, small choice of minibar beverages, welcome drink, VAT, mobility ticket for free use of public transportation in Basel. 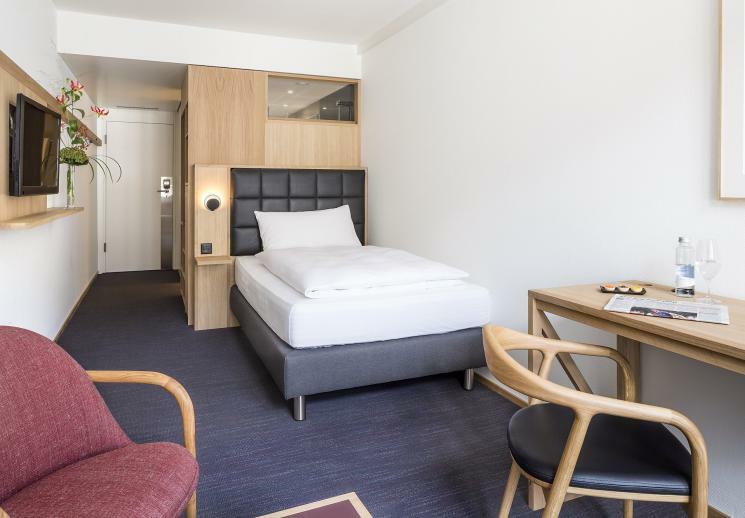 All nights plus tax are non-refundable as of April 19, 2019. All nights plus tax will be charged on April 19, 2019.